The hinterland of the Côte d’Azur towards the Rhône basin, the Luberon wine region and the limestone rocks of the Alpilles, medieval Avignon and roman Arles: all this seems created on purpose for an exciting classic car tour. Add to this mighty Premonstratensian and Cistercian Abbeys in the midst of oak forests or blooming lavender fields, impressive military roads dating back to Napoleon and carved into the rock, the Camargue wild horses and the Verdon canyon. This is pure Provence, or France at its best! This tour around the renewed Targa Florio classic car rally takes you to the north-west of Sicily. Palermo, capital of the largest Mediterranean island, is the starting point of this event. Unlike similar rallies such as Mille Miglia and Gran Premio Nuvolari, the modern Targa Florio is not driven as a circuit itinerary, but with daily laps starting and ending in Palermo. That said, we will offer you insights into an exciting southern city which struggles to leave its notorious past behind, headed by four-times mayor and renowned Anti-Mafia-expert Leoluca Orlando. Changing hotel on the third day of the tour, you will be able to enjoy amenities of the noble beach town of Cefalú and its sandy beaches. 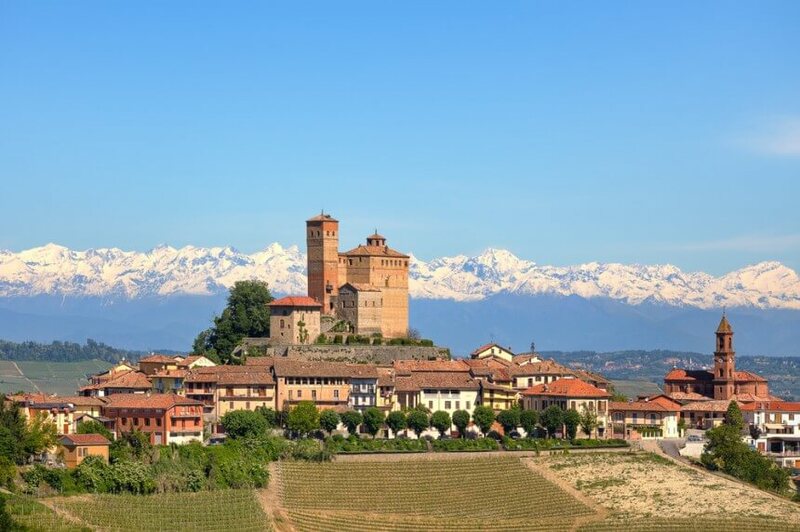 Piedmont is the second largest region in Italy after Sicily, stretching from the Swiss Alps almost to the Mediterranean. The hill area in its southeastern part, referred to as ‘Langhe’, with its castles and villas, vineyards and world-class Barolo, Barbaresco and Barbera red wines are well renowned. It is here where you will find the most expensive truffles and the world’s largest hazelnut plantations. Welcome to the home of famous Italian brands such as Nutella, Martini and Asti Cinzano. One of the most picturesque landscapes in Austria lies between the Danube, vineyards and mighty monasteries: the Wachau, famous for its high-quality wines. Among the sights of this trip are the ruins of Dürnstein, where King Richard the Lionheart of England was imprisoned, as well as the medieval village of Dürnstein, the Abbey of Göttweig and Melk Abbey. Due to its unique beauty, the Wachau has been included in the UNESCO World Heritage List as a cultural landscape. Emilia Romagna is the cradle of Italian sports car manufacturers. This is the region where the great Enzo Ferrari hails from as well as the renowned brands Maserati, Lamborghini, Pagani and Ducati. Emilia Romagna is also famous for its culinary specialties, such as Parma ham, parmesan cheese and Aceto Balsamico. There’s no classier way to travel this stretch of country than behind the wheel of an elegant Alfa Romeo Spider. Italy’s second largest lake lures with a beautiful Riviera and a mediterranean ambience. Narrow mountain roads contrast with palm-lined shores promenades, Belle Époque villas and English gardens contrast with the archaic-looking villages. This high-contrast tour has a lot to offer and leaves nothing to be desired. This trip includes all the highlights of a vintage car trip to southern Tuscany. Tazio Nuvolari was a racing legend during his lifetime already. In his honour the course of Mille Miglia was modified with part of the race now being held as “Gran Premio Nuvolari”. This trip across autumnal Tuscany allows you to see the historic Mille Miglia race cars at the remake of the “Gran Premio Nuvolari”. You cannot be wrong with one of our specially created gift vouchers. A Nostalgic Classic Car Travel voucher is the perfect gift choice for those whose friends seems to have everything already! On these three-day journeys, you not only have the pleasure of unique panoramic drives around the highest peak in Germany, but also enjoy superlative gastronomic delights in one of the most beautiful hotels in Tyrol, the ‘Post’ in Lermoos. This trip will take you into some of the most beautiful areas of the Alps: clear mountain streams, green lakes, steep cliffs, romantic gorges, colourful fields, green fir trees and the very best winding mountain passes. The Wellness oasis at your hotel allows you to look out over the rooftops of Berchtesgaden and just relax. 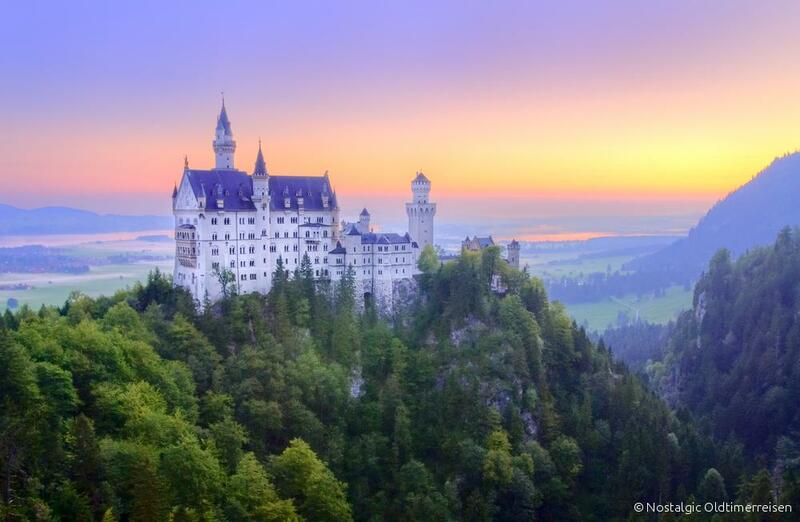 Follow in the footsteps of Bavarian Fairytale King Ludwig II, a man shrouded in legend. 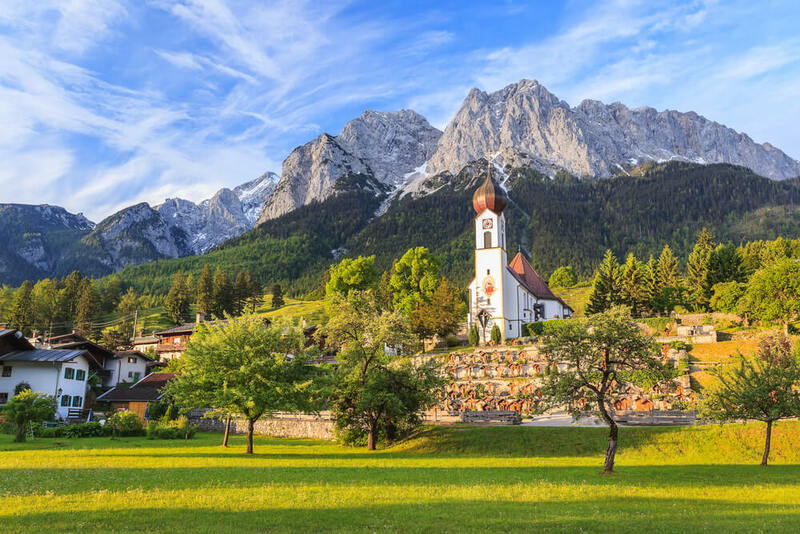 You will pass the most important places of his life as you travel along this incredibly scenic route through Upper Bavaria. An ideal way to welcome springtime: You start your journey in the Gulf of Naples, where the average daytime temperature is around 20 degrees C (68 F). You’ll spend all nights in classy Grand Hotel La Favorita***** in the heart of Sorrento, which will host you for the next few days. 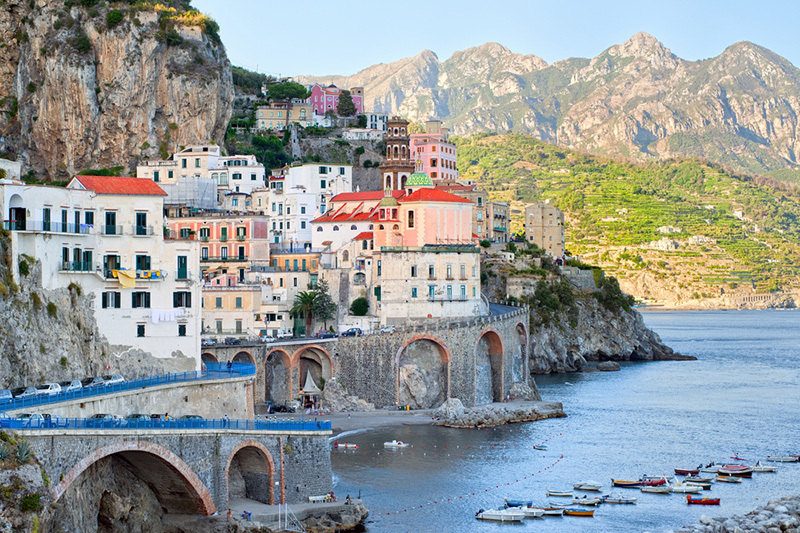 From there the much hailed coast of Positano and Amalfi is only a stone’s throw away. On this trip, you gain a first-hand and hands-on impression of automotive history. The legendary Mille Miglia 2020 involves several hundred participating vintage cars, and it gets the hills of Tuscany trembling as it passes. You are there with them, stylishly seated at the wheel of an Alfa Romeo Spider built in the 1950s. Discover Tuscany behind the wheel of a classic 1960s and 1970s Mercedes Benz SL. Over gentle hills and through avenues of cypress trees, we’ll take you through the historic and exquisite heart of Tuscany. But let’s not forget to visit a few selected wineries. Experience Italy at its best! The largest Mediterranean island awaits you with lemon and orange gardens, beautiful vineyards and steep mountain roads at the foot of Mount Etna. You will drive through small fishing villages and half-abandoned cities in the country, you will experience urban Italo-chic in Catania and stay in a hotel by the sea with large pool and private beach. Discover Tuscany at the wheel of a classic Mercedes-Benz SL (W113 and R107) and experience the legendary Mille Miglia race up close and personal. The Mille Miglia has become an indispensable part of automotive history. In addition, we accompany you on scenic panoramic roads and the vineyards of Tuscany.